Llamas are all the rage right now so we had to jump on the band wagon and create the cutest craft we know you wouldn’t be able to resist. Pin cushions are definitely a crafters friend and we know how much you’ll love having this colourful felt goody by your side! Download our free template and read Maxine’s tutorial to find out how to make your own llama friend! 1. Print the free llama template, cut it out and draw around it onto a piece of Dovecraft white felt. Cut out two pieces, for the front and back of the Llama. 2. Decide how you would like to decorate your Llama, cut out the pieces, on to different coloured pieces of Dovecraft felt and sew onto the front of the Llama. You can use different embroidery stitches to add the pieces, we’ve used back stitch and blanket stitch. 3. To make a tassel, make small cuts along a piece of Dovecraft felt, roll up and stitch the top together. Add to the Llamas collar. 4. 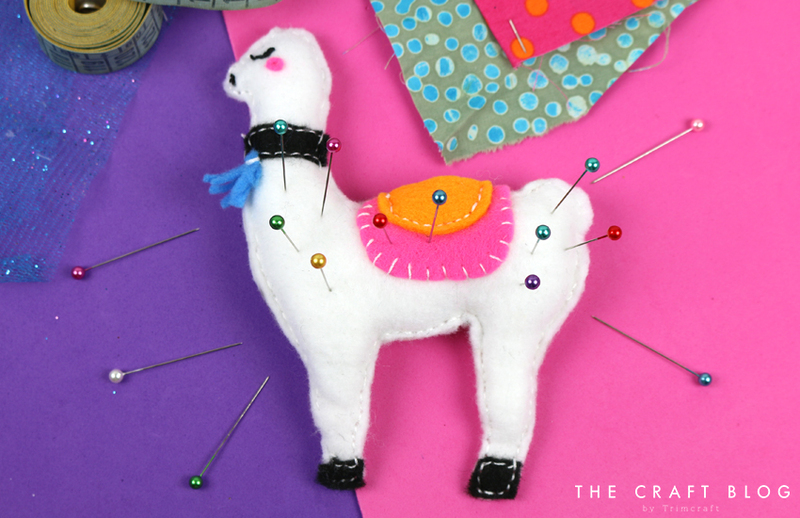 Place the back and front pieces of the llama together and start to stitch around the edge. TIP – start by stitching the Llamas legs, so that you can fill those first. Stitch around the rest, leaving a hole to fill the rest of the Llama. How cute is this pin cushion? With our free template, it couldn’t be easier to make and it will look so fab on your craft desk! 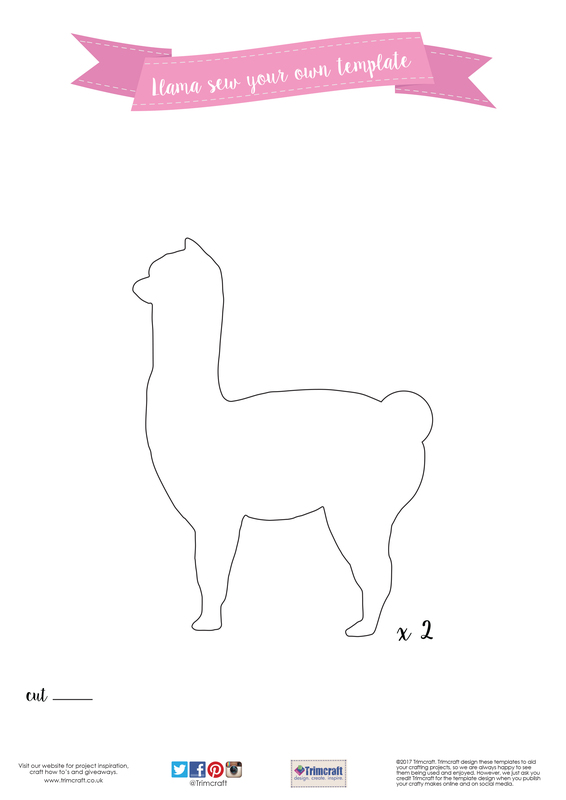 How will you use our free llama template? We would love to see so don't forget to #trimcraft when sharing on social media and to upload your makes to the inspiration area!